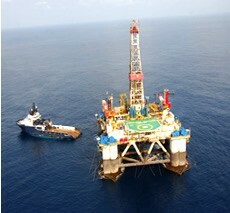 Petroleum Commission is confident more oil would be discovered in the very near future to the benefit of the economy. The commission has licensed several companies to prospect for oil and gas both onshore and off-shore. The companies are stepping up exploration activities towards finding oil-rich wells in the country. Commercial production of oil at the country’s 2nd major oil field, Tweneboah Enyenra Ntomme (TEN) – commenced last week – 5 years after a similar exercise on the country’s first, the Jubilee field. Speaking with JOY BUSINESS Technical Advisor to the Commission Nii Adjei-Akpor said the prospects for more oil find are high. “I think right now we have about 15 oil licenses awarded with each company supposed to do a thorough work on the block they have taken. By doing that they would be able to confirm some of the prospects that have been identified,” he said. He said apart from the old companies the rest are all at the exploratory stage adding the success rate depends on the prospects these new companies identify.